This card can be used either as a little boys or adult males birthday card or valentine card. The stars were made using the cricut george cartridge. Love the colors on this. This House Mouse image was received in a swap. 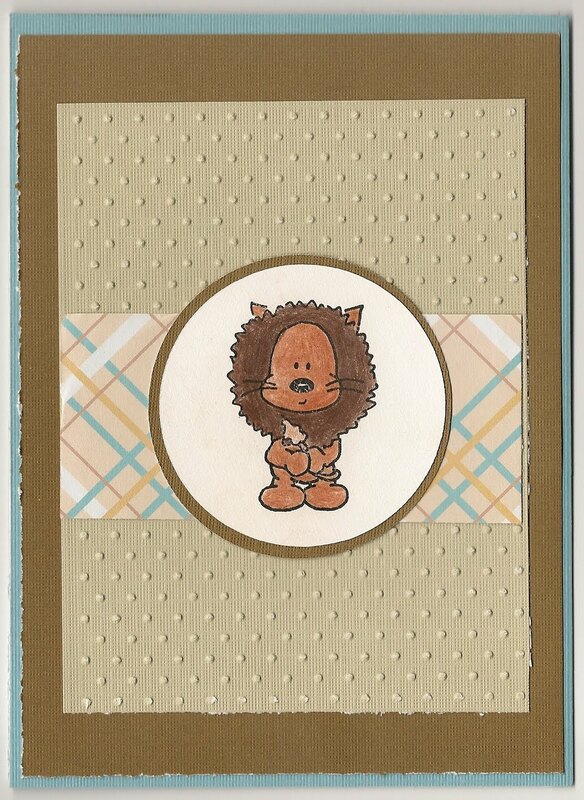 The paper is from DCWV Sweets collection and DCWV Spring Carstock Collection. This card uses the Truck Loads SU stamp set. The hearts are embossed using the heart embossing folder with the cuttlebug machine. The oval was cut out using the cricut george cartridge. This is a basic wedding or valentine card or just a thinking of you. Basic card. 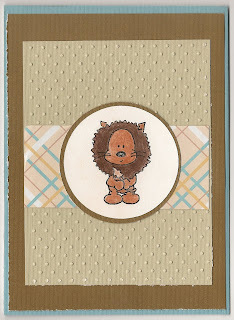 Once again used the cuttlebug heart embossing folder. The heart in the middle was made using the cricut george cartridge. This card may turn into a valentine card I don't know yet. I really like the colors on this card. The lion is so adorable. The embossed dots were made using the cuttlebug swiss dots embossing folder. The circle that the stamped image in were cut on the cricut machine using the george cartridge. The image is from CC Designs.